Many fans of the Marvel Cinematic Universe were surprised to see that Captain America didn't have as big of a part in Infinity War as anticipated. While the plot for the upcoming Avengers 4 is being kept secret, it's believed that Cap will have a larger role this time around. Additionally, both Robert Downey Jr. (Iron Man) and Chris Evans (Captain America) have both heavily hinted that Avengers 4 could be the end of the line for them in the MCU, which has led to speculation about how they will make their exits. A new Avengers 4 fan theory seems to have a good line on how Captain America's story could come to a close. Most theories having to do with the plot of Avengers 4 involve time travel and the Quantum Realm, messing with the fabric of time. There have been a few clues to the time travel aspect thanks to some leaked set images over the last year. There's the often mentioned return to the Battle of New York with Scott Lang around this time and some other shots of Thor and Loki together looking like the first Avengers movie, while Tony Stark looks how he does in the present timeline. The Quantum Realm will somehow play a significant role in the interdimensional and time travel, which will be introduced in Ant-Man 2. With all of that being said, the new Avengers 4 theory predicts that we will see the surviving members of the Avengers travel back in time to certain events from past MCU movies, which leads us to Bucky Barnes as well as Peggy Carter from the first Captain America film. Hayley Atwell portrays Carter in the MCU and when recently asked about returning to the MCU, she wouldn't rule out a return to the big screen. Atwell was last seen in Winter Soldier as a 90-year old version of the character. 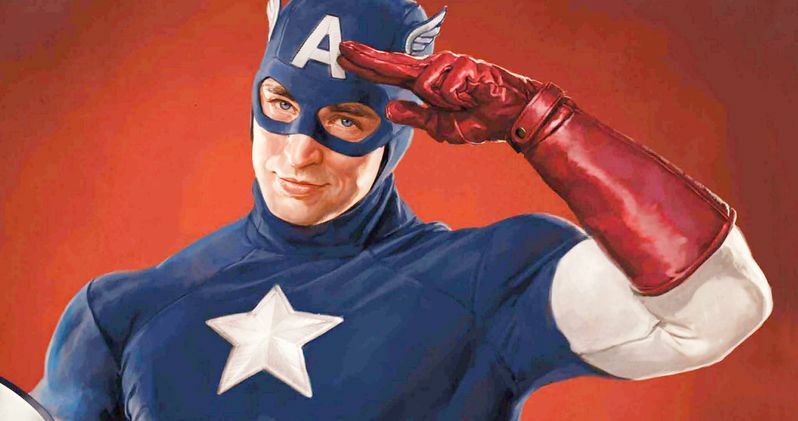 If Atwell returns, this could be how Captain America ends his run in the MCU. It's entirely possible that Avengers 4 will see Captain America go back in time to before he was an Avenger and live the rest of his life as Steve Rogers with the love of his live, Peggy Carter, leaving the Avengers behind. This theory is more of a bittersweet ending for the character, but it's better than Cap dying in battle against Thanos for a second time. This is obviously just a theory, but it's one of the better fan theories out there at the moment. There have been a ton of supposed Avengers 4 leaks over the last few months, and most of them have been proven to be false. Earlier this week, a huge leak popped up online from Reddit, which many called false, and now, even the original author has admitted to making it all up to form some kind of social experiment because he was "bored." However, fan theories are a lot more fun to discuss and speculate about than "leaks." We won't know until next year how Captain America will make his exit from the MCU, but this fan theory from Digital Spy is fun to think about while we wait for Avengers 4 to hit theaters.